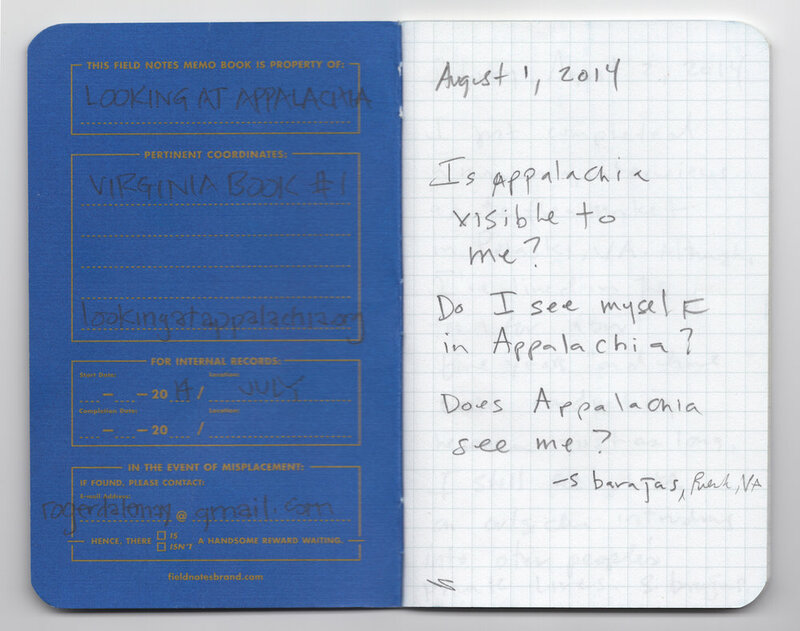 In June 2014, shortly after launching the Looking at Appalachia project, we reached out to the folks at Field Notes to ask about their County Fair regional edition notebooks. They graciously sent a three-pack of notebooks for each of the thirteen states included in the Appalachian region. The idea was that we would reach out to folks in the region who wanted to contribute to the project, but perhaps wanted to contribute in a different way. Why not ask them to share stories from their corner of Appalachia in the form of interviews, short stories, poems, and so on? Several notebooks were mailed out, but only a few came back. If you'd like to participate in this part of the project, please get in touch. We'd love to send you a notebook. The catch? We need it back so we can share your story and the stories you collect with everyone.